This is the music that plays in my head every single time I’m ramping up speed to merge on to the highway. Try humming this song next time you explore the unknown. I used to know how to play this goofy track on guitar. Let me tell you how many ladies it impressed. Hint: zero. As if just an amazing score weren’t enough, the series also had a “house band” who created catchy pop tunes that are about as 80s as it gets. These tracks usually appeared while the Ghostbusters were in transit. Not really sure what that’s about. Don’t look behind you! The best part of this song is the plot twist during the instrumental breakdown. Yes, a dance song for an animated series intended for six year olds with a plot twist. I don’t care if the lyrics are unintelligible, this is still quite the groove tune! 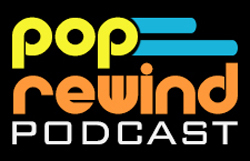 Hopefully, that brought back a few memories for some loyal readers of Pop Rewind. And, if it didn’t, what did you do with your childhood? Play outside? Ha! If you enjoyed the Real Ghostbusters score, I highly recommend checking out this obscure track by rock legends They Might Be Giants. “Hell Hotel” is very much in the same vein as the “Action” music from above. I can’t help but wonder if composers Haim Saban and Shuki Levy were inspired by this song. I can’t believe I never commented on this! I love this score as well and once followed a guy on Youtube who was trying to recreate it by hand. MisterZero Wish they would come out with an official Real Ghostbusters Score soundtrack.